Understanding Hinduism is a creative attempt to connect scholarly research with the daily life of Hindu devotees. 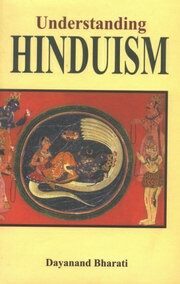 It is a true introduction to the complexity of Hindu phenomena, discussing the basic meaning of “Hinduism” and surveying its origins, scriptures, rituals, doctrines and modern trends. Its author is deeply in touch with the issues and concerns of modern Hindus and as a reformer seeks to bridge the chasm between objective scholarship and Hindu practice. Thought affirming diversity he is not afraid to censure or commend, but does so in light of careful historical and sociological analysis. His focus is always on the practical life of devotees. The author hopes this book will impact India’s modern generation, which is adrift from its rich cultural heritage. Scholars perspectives will stimulate and help the devotee. Dayanand Bharati's origins are in Tamil Nadu, where he still spends most of his time. He is no armchair academic, rather a pilgrim and continues to travel extensively around India, interacting with fellow-pilgrims of manifold persuasions. He enjoys plants and gardening almost as much as books and reading.